Getting the right outdoor cage. All of Beacon’s outdoor batting cages are built to last. But, to help you select the best fit for your facility, we cut through the confusion. The distinguishing characteristics are broken out below. If you have any questions, or if you are ready to get started, please contact us. 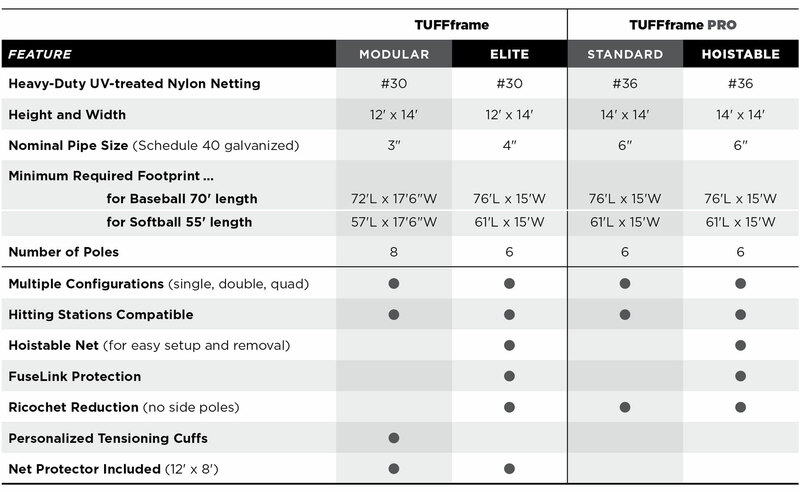 TUFFframe Batting Cages are available in multiple models and configurations. All share the same rugged construction using Schedule 40 galvanized poles and UV-treated nylon netting. 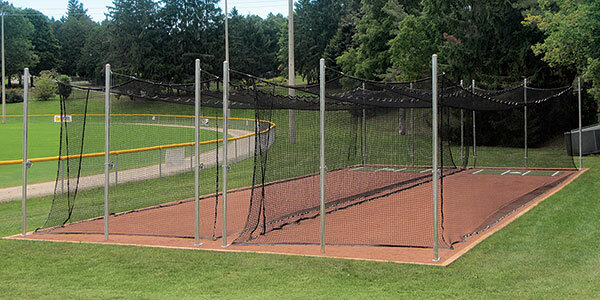 Our most comprehensive batting cage, the modular cage offers endless multiple configurations. Ground sleeves simplify pole installation by giving you the option to remove the entire cage or move it to a new location. Custom team branding options with our personalized tensioning cuffs. Beacon’s unique winch tensioning system makes for easy raising and lowering of nets all from the ground — no ladders. No side poles reduces the risk of ricochets. Our proprietary Fuselink protects your cage from unexpected overload, such as heavy winds or ice. TUFFframe PRO Batting Cages are built for the pros. 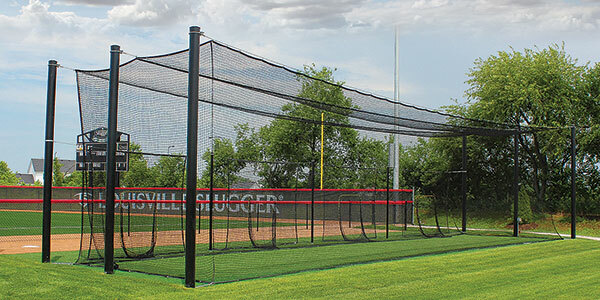 They feature a larger 14 x 14 hitting area constructed with large 6″ diameter, Schedule 40 steel poles and #36 UV-treated nylon netting. Available in our Standard and Hoistable models. This beast is our most heavy-duty cage. You get supersized versions of all of the unique features: winch tensioning system, no sides poles, and our proprietary Fuselink protection. Everything about this cage is bigger, and that really does make it better. An absolute stud of a batting cage. 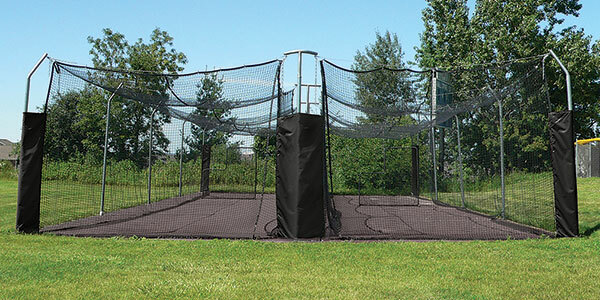 All the heavy-duty features you expect from our pro hoistable batting cage, just minus the winch tensioning system — this cage is installed for your convenience with permanently tensioned cables.